Drilling rigs are structure which house equipment such as pipes, cables, drill bits and derricks which are necessary in extracting essential commodities such as petroleum from under the earth’s surface. The rigs are categorized under offshore and land with the offshore handling drilling on the ocean floor and land-based drills handling the drilling which is done on the land. Apart from the extraction of petroleum, they can be used in the construction industry for the building foundation, roadbed, bridges and airports constructions where strong foundations are required. They can also be used in drilling, mining as well as water well drilling. The drilling rigs comes in various forms and the most suitable is selected according to the task which is at hand. The drilling rig classifications can be done using various factors, attributes or technologies. The kind of power used by drilling rig can determine how it work. Generally, you can find mechanical drilling rigs which use clutches, transmissions and torque converters that are powered by their own diesel engines. The electric ones are those whose machinery items are driven using electric motors generating power on site via internal combustion engines. There are also hydraulic rigs which make use of hydraulic rigs which use hydraulic power, steam rigs which use engines as well as pumps that are steam powered and the pneumatic ones which are powered with the aid of pressurized air. Rig categorization under pipe has cable drilling rigs which use cables to raise and drop drill bits, conventional drilling rigs which make use of plastic or metal drill pipes of various kinds of suit the function and col tubing rigs that use giant tube coil and down hole drilling motors. The height categorization comes in when temporarily removing drill pipes from the hole and is based on the number of connected pipes in the derrick. Single rigs pull dingle drill pipes, whereas double rigs can handle a stand of pipe which has two connected pipes in the derrick. Triple stand rigs can easily handle three whereas quadri stand can easily accommodate four connected drill pipes. The drilling technology classifies the drilling rigs into non-rotational rigs which include most service rigs as well as direct push rigs. 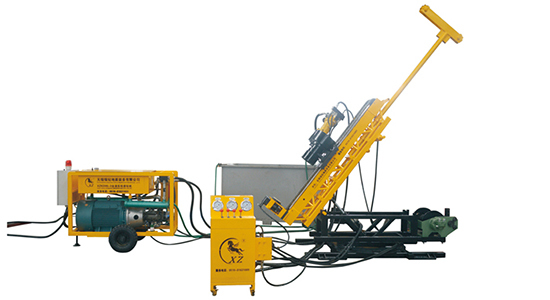 There are also rotary table rigs that achieve rotation by turning a hexagonal or square pipe at the floor level of the drill. The top drive rigs have the circulation as well as rotation done around the top area string on motors moving on track along the equipment derrick while sonic rigs use vibratory energy so that the drill string is advanced. You will likewise find hammer rigs which make use of percussive and rotation force. Drilling rigs can also be categorized in accordance to the positioning of the derrick on the equipment. There are conventional rigs which have the derrick in vertical position as well as slant rigs which have the derrick slanted at an angle of 25 degrees so that the drilling can be facilitated easily. Regardless of the drilling needs you have, it is crucial to select the best for the task at hand. When you know what your options are your chances of choosing the best drilling rig would be enhanced.